Inspiring to be a better leader and manager takes an added effort from all of us. Some people learn better hands-on or working with a mentor. Others are visual and jump into resources like books, online learning or podcasts. Combined with a variety of real-life experiences and being proactive to learn on your own will also build your leadership skills. I am a huge bookworm. There have been so many books that I have read where I would love to sit down with the author and chat one on one. Often after I finish a book, I have questions that linger and are relevant to my life or issues on how I can be a better leader. If you are like me, a comfortable real experience book resonates more than theoretical ideas written by people who have committed themselves more to building theories than sharing practical skills. 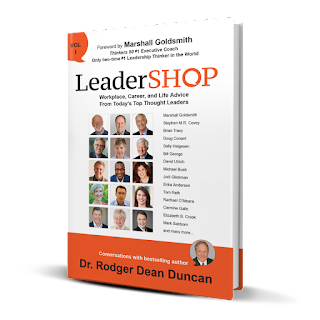 The new book LeaderShop – Workplace, Career, and Life Advice from Today’s Top Thought Leaders by Dr.Rodger Dean Duncan is a must read. He brings together conversations with over 50 leaders on a myriad of topics that can be used as your tabletop “bible.” The chapters read like friendly conversations from authors including Brian Tracy, Marshall Goldsmith, Stephen Covey, Mark Sanborn and more. I loved the variety of topics we get to eavesdrop on. Dr. Duncan asks leaders questions that speak to us as leaders, and he doesn’t just address work situations. The conversations also focus on personal success because work isn’t everything. There are tableside chats that pertain to so many topics the reader will find numerous ones that resonate. I loved the casual talks and wrote down some ideas and goals from almost every chapter. There are few other sources where you will find so much wisdom all in one book. The book can be read chapter by chapter, or you can choose a particular chapter depending on your mood or even a situation that you are encountering. This is the perfect book to keep in your office library to grab for reference and to solve problems. 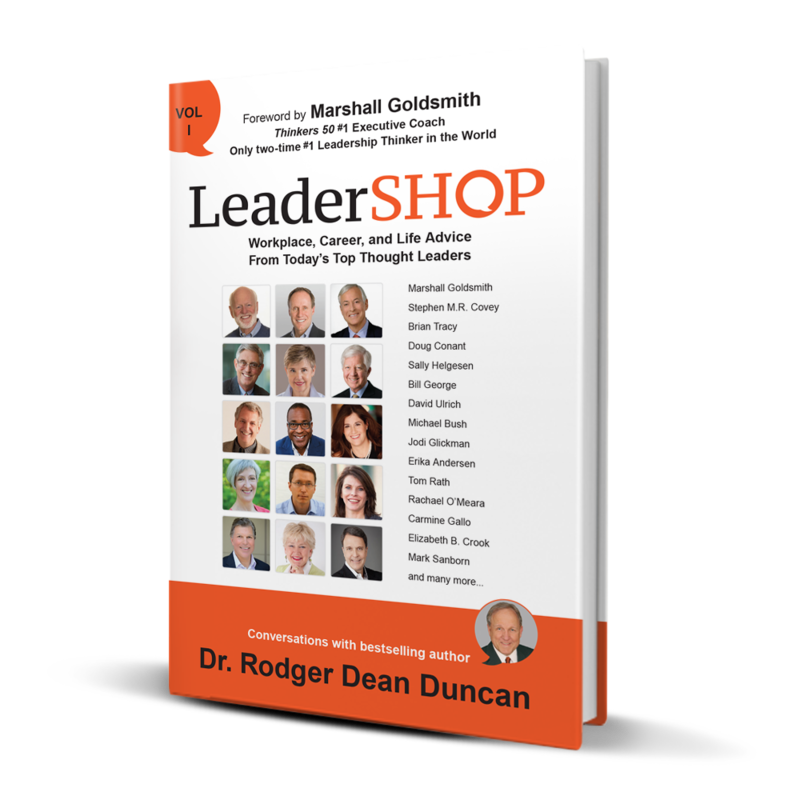 LeaderShop is volume 1 from Dr. Duncan and I hope that there are numerous more versions to come. This is one of the best reads that I’ve had the opportunity to become engrossed in, and I felt like each leader/topic was talking with me, not at me. Pick this gem up today! Leadership is a journey that doesn’t have a definitive playbook. It’s helpful to have different ideas and models to guide and mentor as we improve our leadership skills. The new book Building Resilience with Appreciative Inquiry by Joan McArthur- Blair and Jeanie Cockell offer a unique roadmap that they call Appreciative Inquiry. This model illustrates how to build resilience in leading oneself and those around you. It’s an approach for positive change in organizations, individuals, and groups. The process engages people by telling and listening to stories to build the future of people and organizations together in an engaging manner. Appreciative Inquiry (AI) can be used in strategic planning, team development, coaching, organizational development, and research. Ultimately, the process shows leaders at all levels how to build long-term resilience by using AI to reflect on and explore leadership through hope, despair, and forgiveness. This process builds leadership resilience in not just us, but our people. AI helps us navigate through difficult situations as leaders. It guides us in connecting with others. The book offers personal and real-life leadership situations for readers to see AI in action. It’s useful to know the impact of AI by introducing several valuable models. Moreover, each chapter opens with an inspiring poem and ends with reflection questions to really get us thinking as leaders and asking how we can use the lessons in the book to be stronger leaders who can impact the people around us and the organizations that we work in. What I enjoyed most about the book are the first-hand stories about AI and how it can change people and organizations. It helps to bring all the various ideas in the book together for that “aha” moment. It helps everything to gel and assists the reader to start down on a new path to leadership. For those that really see the benefits that AI can bring to your organization or team, there are some excellence chapters at the end of the book to help you practice AI and even conduct your own AI workshop with your team with the support of other leaders in your organization. 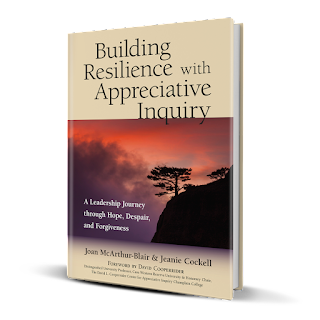 If you want to explore a new leadership method, pick up a copy of Building Resilience with Appreciative Inquiry. Over the years I have lost count of how many useless meetings that I have sat through with colleagues listening to countless KPI numbers, reports, financial updates, and other meaningless reports. We all nod as if we understand and that the information is meaningful. Sound familiar? Too many leaders spend time pouring over numbers and creating reports that lack clarity, relevancy, and actionable information. The new book by Karen Martin Clarity First offers strategies, guidance, and examples of how we should be mining and presenting clear information for our employees, customers, and leadership teams. Karen introduces us to some lean and value stream processes that are useful and manageable without overwhelming with statistics and mumbo-jumbo that goes over the reader’s head. Organizations that lack clarity drive waste which prevents leaders from achieving goals and only brings confusion. Surprisingly, many companies avoid clarity because it means “putting” everything out there. Lack of clarity alienates employees, stakeholders, and leaders. Everyone within an organization should be encouraged to champion clarity and make it a vital part of the company culture. Not enough leaders realize that clarity can unleash the power of employees by empowering them. If encouraged, they have unleashed potential, insight, innovation at various levels, and encourage every single person at every level. Clarity isn’t something that should be feared. Every organization should embrace transparency and clarity as a key factor to success. Write relevant reports. Share the good and bad with clarity. Manage transparency at all levels with a variety of data points. Encourage people to bring clarity to work with them every day. 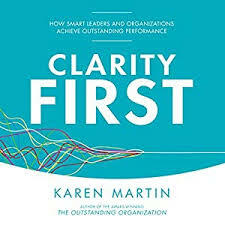 Clarity First by Karen Martin can start you on your own clarity journey. Too many leaders today are leaders in title only. They don’t possess relevant skills, and they read book after book or attend seminars to tell themselves that they are indeed strong leaders. These leaders lack conviction in their teams or often fail to see how their misuse of their “leadership skills” only demoralize or make teams feel powerless and unappreciated. What Are Your Blind Spots? 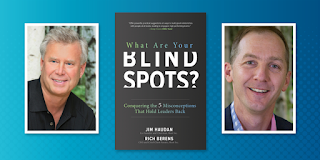 Conquering the 5 Misconceptions that Hold Leaders Back by Jim Haudan and Rich Berens is one of my favorite leadership books that I have read in quite a while. They acknowledge that too many “leaders” don’t understand how they are holding themselves and their teams back. Sadly, these same leaders have no idea what the top leadership misconceptions are and what to do about them. By not recognizing how they are holding others back, entire teams and companies are underperforming and lack the ability to empowering people. 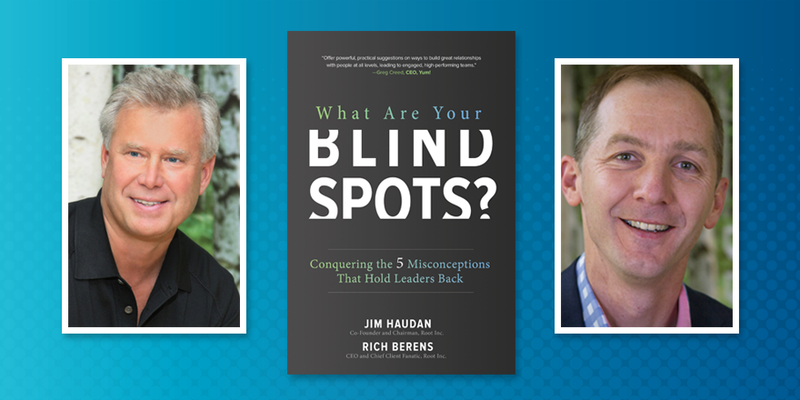 The authors offer tools, strategies, and stories about how blind spots have an adverse impact. Only 30% of our workforce is actively engaged, and that hasn’t changed for years. It won’t change until authentic leaders recognize their blind spots and engage in restoring purpose, engagement, and connection. 1. Purpose: Too few organizations operate purposefully. This adversely impacts people, profits, and growth. The authors share how to build a strong purpose statement that will resonate with teams and aren’t just words. Make purpose personal and be passionate about the purpose, not the numbers. 2. Story: Too many companies think that they have an unusual and compelling story to tell that everyone wants to hear. You don’t. Leaders have it in their heads but can’t articulate it to anyone else. What do you need to do? Proactively close the gap between what you say and what you mean. Also, don’t let your stories kill your strategies. Last, don’t place foolish emphasis on WIIFM. 3. Engagement: Let’s face it. Enough companies today encourage little to no participation within the organization or with teams. They don’t listen to what their people want or even really care. ASK what your people need. Focus on the emotional versus the rational. 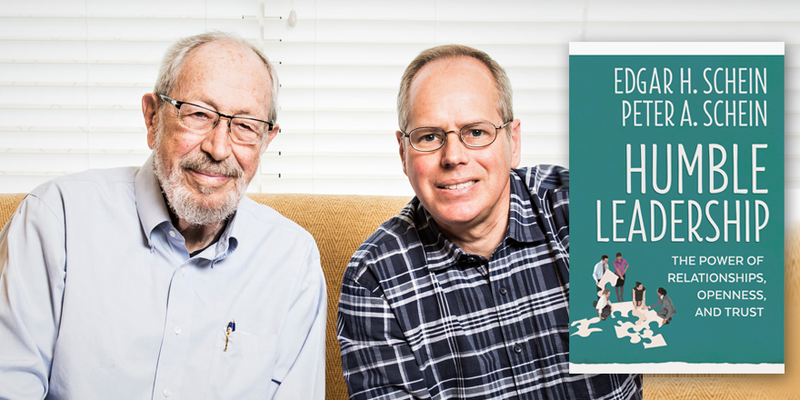 The authors suggest using dialogue to reach the hearts and minds of your people. Last, flip the switch for your people. Take the challenges of the organization to your teams and listen. 4. Trust: Too many leaders think that people won’t do the right thing unless what they are told what to do. Make priorities clear, invite people to use their strengths, and embrace human variability rather than reduce it. Clear-headed leaders clarify hard lines, guidelines, and no lines to make the complex simple. 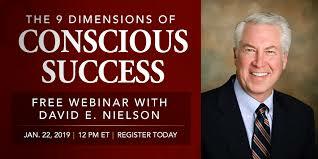 Leaders at all levels need to understand their leadership strengths and weaknesses. Too many fear to see the truth. We all need to be aware of the leadership misconceptions that plague us every day to grow as leaders and bring our teams along as authentic leaders. Pick up a copy of Blind Spots today! For years, leadership has meant strength, control, absolute, and a lack of flexibility. Fortunately, new leaders are learning that serving their people, being more personable, and becoming humble benefits teams and entire organizations. Leaders are finally focusing on personal relationships rather than outdated transactional role relationships. Just because you are a leader does not mean that people must follow. These days employees demand respect, relational interactions, and want to work for humble and uplifting managers. 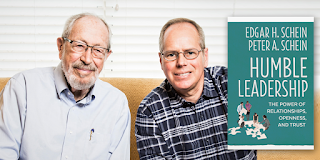 The new book Humble Leadership – The Power of Relationships, Openness, and Trust by Edgar H. Schein and Peter A. Schein offers a new approach to leadership. Leaders need to be humble. Relationships should change in design and evolve over time. It’s a challenging balance for leaders and their teams. The balance between being too formal or too intimate is a struggle in this day and age. Being humble is key to cultivating a strong culture of cooperation and trust. Years ago empathy wasn’t considered a leadership trait and it is a strength that can pull teams together. Leaders today need to be adaptive and very in tune with their actions, behaviors, and treatment of teams so that organizational culture thrives and in turn impacts employees. I have worked in organizations with great cultures and those that are toxic. When an organization is toxic turnover increases, sales and service take a dive, and organizations fade. The authors offer four levels of leadership relationships. Level two represents the most effective balance for most organizations. The authors assert that learning and rewarding humility is a learning process. Without focus and commitment, leaders can’t change. They need to practice focused reading and reflection, create homework around designing work relationships and build their behavioral skills through fieldwork and learning. Humble Leadership doesn’t just present theories and ideas. The real meat in the book are the lessons at the end of each chapter which invite the reader to reflect. There are several chapters detailing real situations in companies and even the military where humbleness has been transforming. These stories r bring the ideas and concepts in the book together. For instance, we learn lessons from a major medical center, an international company, and even the US military. If you are ready and willing to become humble and change your organization pick up a copy of Humble Leadership today. You don’t need to be a CEO – you can have an impact in your role and within the teams that you work with. If we all make small changes we can have an impact.